In my letter to JAMA Internal Medicine , I asked whether substantia nigra (SN) neurons, weakened by Parkinson disease (PD), may be more sensitive to the adverse effects of ionizing radiation than are healthy mature neurons. Dosimetry safety studies assume that neurons are relatively resistant to damage from ionizing radiation. Radiation safety is, instead, calculated based on exposure of such tissues as the thyroid and the lining of the bladder. If SN neurons in PD are significantly more radiosensitive than healthy neurons, then PD patients might suffer progression of PD caused by the level of ionizing radiation exposure caused by certain diagnostic scans. In a widely-used clinical diagnostic brain imaging procedure known as the \"DaT scan\", a radiopharmaceutical tracer marketed as \"DaTscan\" (Ioflupane I-123) is injected intravenously, crosses into the brain and binds to dopamine transporters. The tracer emits gamma radiation, thereby allowing for imaging which can help distinguish Parkinsonism from other causes of similar symptoms. According to Table 1 of the DaTscan product information, the highest concentration of injected activity ends up in the striatum, close to the substantia nigra . At the recommended adult dose of DaTscan, the striatum is exposed to 185 MBq x 230 microGray/MBq = 42550 microGray = 42.55 mSv = 4.25 Rad for gamma radiation (1 Sv = 1 Gray = 100 Rad). The nearby SN must receive nearly as much, although the exact figure is not specified. How damaging is a gamma exposure of about 42.5 mSv so close to SN neurons already weakened by PD? For comparison, a brain CT delivers a dose of about 2 mSv uniformly to the entire brain, so the radiation exposure (dose) to the striatum of a DaT scan is the same as it would receive from 21 brain CT scans . The SN and other nearby basal ganglia presumably receive about the same dose (the DaTscan product information does not specify). The clinical effect of this radiation dose on PD patients may be found by conducting an observational study of patients who have been ordered to get a DaTscan by their neurologist. Each patient would be given a thorough UPDRS exam (a detailed PD-focused neurologic exam) prior to being scanned, and at appropriate intervals after scanning. The overall rate of UPDRS score deterioration in the study subjects should be compared with that of matched PD patients who have not undergone scanning. Any significant worsening of UPDRS scores in the intervention group, compared to the control group, may be an adverse effect of the DaTscan radiotracer, and should be investigated further. With the increasing use of DaT scans, PD patients should be informed whether their clinical condition, as measured by the UPDRS, will be expected to worsen as a result of these scans, and if so, approximately how much. The Code of Federal Regulations Title 21, Section 601.35 (Evaluation of safety of diagnostic radiopharmaceuticals) mandates evaluation of \"changes in the physiologic or biochemical function of the target and nontarget tissues\". The effect of 42.5 mSv of gamma radiation concentrated on the already diseased neurons in the substantia nigra of patients with Parkinson's disease has not been determined, as is required under the above-cited Federal regulation. 1: Keller DL. Non-neurologists and the Dopamine Transporter Scan. JAMA Intern Med. 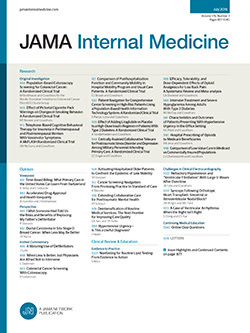 2015 Aug 1;175(8):1418. doi: 10.1001/jamainternmed.2015.2497. PubMed PMID: 26236969.